The Scoop: With so much activity that takes place on Facebook each day, it has become a breeding ground for running a contest. This is a guest post entry and was submitted by one of our Scoopers. The author’s views are entirely his or her own and may not reflect the views of Scoopfed. Facebook has roughly 7 million business pages and well over 2 billion users. As a result, it is a great platform to develop your brand and increase user engagement. In fact, according to the Content Marketing Institute and Ion Interactive, in a poll conducted, 81% of content marketers experienced an increase in their ability to grab their reader’s attention when some interactive content was used. It involves things such as quizzes, contests, assessments, polls, games and more. It is a great addition to the overall marketing strategy. Not only is it is more impactful, but it’s also a great way to reach your business goals. If you are looking for ways to enhance user engagement, below is information about some best practices for running a Facebook contest and related interactive content such as a Facebook giveaway campaign and more. As with all systems and processes, there are also best practices required for running a Facebook contest. First, it is important to set goals as well as measure your performance. It’s also important to properly target users and develop contest and other interactive activities that are easy for users to participate in. These and other tips and best practices are indicated in more details below. It’s always a best practice to set clear goals for your contest. That way as you develop interactive content, it will be consistent with your goals. Without these goals in place, you will likely develop a contest, a free giveaway or other methods without knowing if you’ve experienced a real benefit. It’s also important to find ways to measure your performance and your outcomes, that way you’ll know if you reach your goals and if it has an effective impact on your marketing strategy. The ultimate goal, however, is to find a way to ensure that it’s increasing your ROI. Make sure to target members of your audience who actually qualify to participate in the contest, free giveaway or other interactive activity – including geo-targeting, or otherwise. Additionally, when running ads for your contest, make sure that they are promoted to the proper audience as well. Make sure that you are fully aware of all Facebook’s rules as it relates to contest, giveaways and other interactive activities that you plan to offer using their platform; then communicate them well to your users. There are several forms of a contest that you can run that’s most suitable to your business goals and market strategy. Below are six ideas to consider for running a successful Facebook contest. If you’re interested in learning more about how to do a giveaway on Facebook, or what to giveaway, it’s pretty simple. Your prize should be tied to your brand. That way it can attract loyal customers who would appreciate the gifts – such as discounts or gift cards to your products or services. Your Facebook giveaway ideas can also be associated with the time of the year, a special event or a holiday – -something that people are tuned into anyway. Facebook giveaway ideas are endless. You just need to be creative and strategic about how to do a giveaway on Facebook and what to give away. When you’re partnering your Facebook Contest with your website especially when you are using a WordPress site, partner it with a giveaway plug-in. When running a photo captioning contest, it is the easy way to build brand awareness. Simply encourage users to add a caption to a photo that you’ve uploaded. Winners can be selected internally or by the caption with most likes. A trivia contest is a great way to engage your audience by asking relevant questions that relate to your product, service or industry. You can also provide a link to your website that provides answers to some of the questions to enhance engagement as well. Commenting or liking something to win is one of the easiest ways to enter and participate in a contest. Since it is so simplistic, it results in a lot of fan participation by using something like a link, video or photo. Your contest can consist of your customers taking a picture of themselves while interacting with your product or service. This is a great way to enhance your brand and see how your customers get involved with your product or service. You can choose a winner or allow others to decide based on photos with the most likes. You can ask users to refer your product, service or Facebook page to a certain number of people for a chance to win a prize. Business owners should really take advantage of the Facebook platform and how contests can benefit their business and increase user engagement. 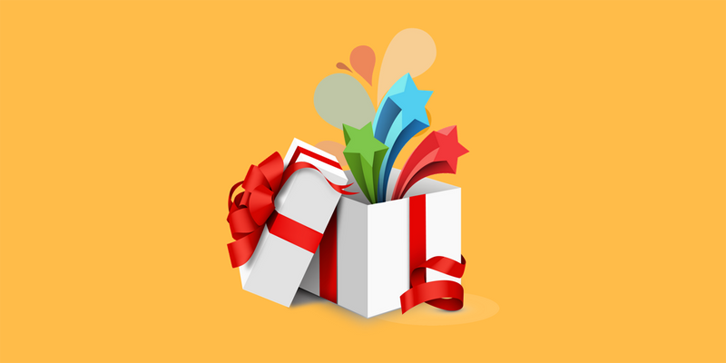 BONUS: Talking about giveaways, CyberChimps – the go-to place for premium WordPress Themes and Plugins, is offering an irresistible WordPress themes giveaway. Grab this opportunity to WIN CyberChimps Club Membership (57 Premium WordPress Themes And Plugins) for a year. So go ahead and try out your luck! This guest post is brought you by CyberChimps. QUIZ: What Computer Part Are You Based On Your Personality?